About a 1/2 hour south of Canaan Island Pond Lake is just over 600 acres and features a five-mile forested shoreline that is dotted with lakeside cottages and year-round homes. The village of Island Pond occupies the northwest shore, The large lake allows for motorboats, making water skiing and personal watercraft permissible. Residents and lake visitors enjoy sailing, tubing, wind surfing, canoeing and kayaking on the more. Island Pond is an excellent lake for sport fishing. Species include brown trout, walleye, rainbow trout, perch, chain pickerel, largemouth bass, smallmouth bass and burbot. 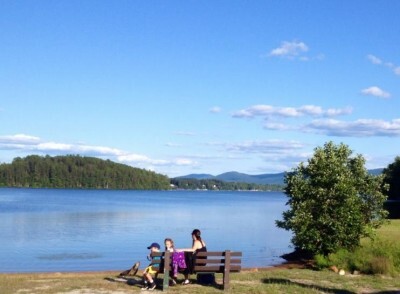 The VT Department of Fish and Wildlife maintains a public boat launch for small and medium-size boats on the lake. The lake freezes early and reliably creating a great offering for ice fishing.